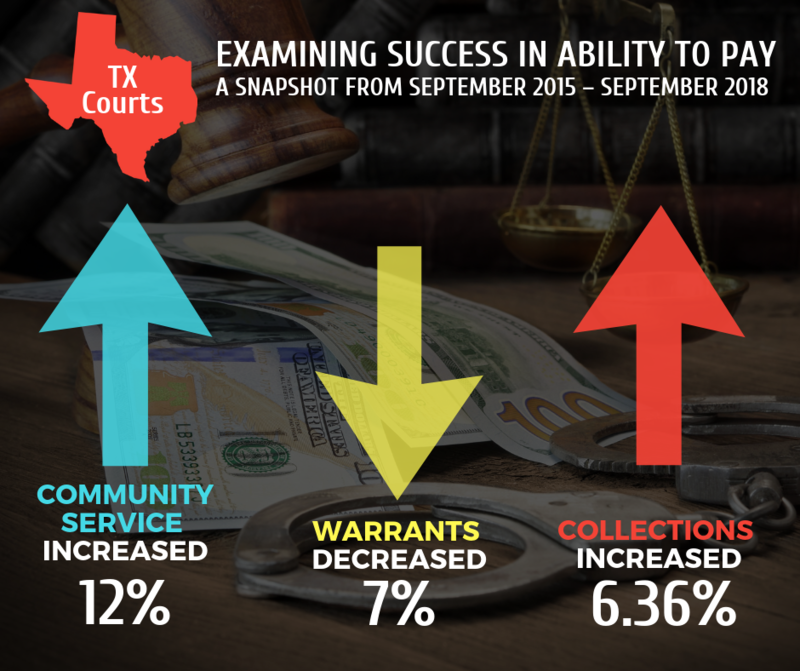 When the Texas courts revised ways for economically disadvantaged people to resolve minor offenses — such as traffic tickets — by reviewing the defendants’ ability to pay, the courts got an unexpected result: court collections have jumped by nearly 7 percent. 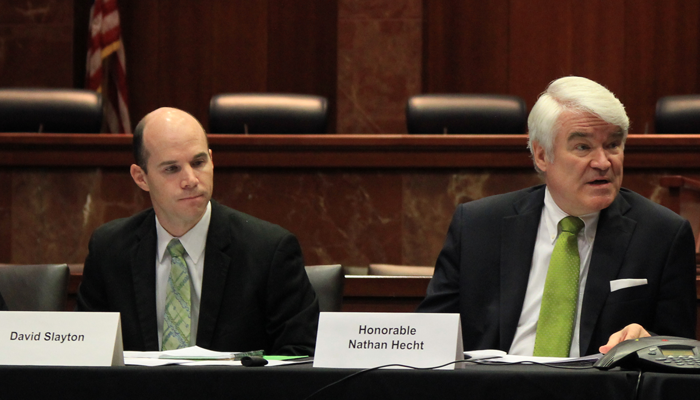 NCSC board member and Texas Chief Justice Nathan L. Hecht has been leading this effort, along with the Texas Judicial Council. Along with the National Center for State Courts and several other state court systems, Texas has been examining ways to appropriately penalize people who don’t have the financial ability to pay court fines and fees for criminal offenses. Chief Justice Hecht is a member of the National Task Force on Court Fines, Fees and Bail Practices, an initiative of the Conference of Chief Justices and the Conference of State Court Administrators and staffed by NCSC. Identifying alternative sanctions to court fines/fees was one focus area of the task force, which was funded by the State Justice Institute. 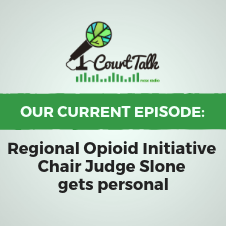 For years, many people who were unable to pay court fines and fees ended up in jail, creating long-term consequences for the individual and costing taxpayers and the justice system more money. Many of these people, once in jail for non-payment, lost their jobs and often their driver's licenses, which created a cycle of poverty. Critics have dubbed this debtors’ prison. With support from Chief Justice Hecht and others, the Texas Legislature in 2017 passed legislation that, among other things, allows courts to ask defendants earlier in the court process about their ability to pay their fines/fees and to tailor the fines/fees to an amount appropriate to the defendants' situation. The legislation requires judges to conduct an inquiry at sentencing, to limit warrants for arrest for non-compliance, and to offer expanded options for community service. For example, once it’s determined a person can’t afford a $500 traffic ticket, but they can afford $200, payment is made and the case is resolved or community service is assigned. Before this legislation, if the person couldn’t pay the $500, he/she often failed to pay anything and was jailed. 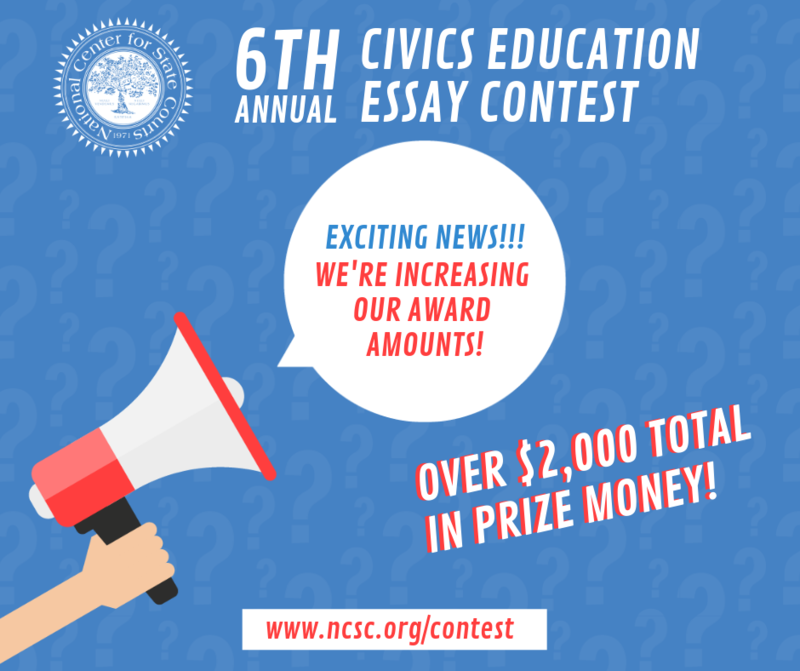 NCSC's 2019 Civics Education Essay Contest is bigger (and better) than ever! Thanks to a private donation, the National Center for State Courts is excited to announce that we are significantly increasing the amounts to be awarded for the student winners of the 2019 Civics Education Essay Contest. 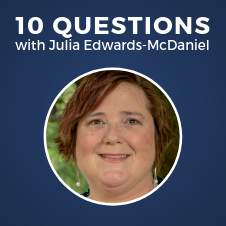 “NCSC received a generous gift, and the donor and NCSC believes that putting these funds into civics education benefits everyone. Promoting student curiosity and involvement in the judiciary is certainly a worthwhile investment,” said NCSC President Mary McQueen. 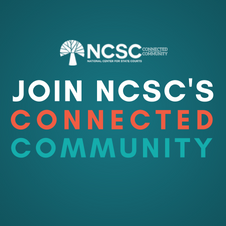 Learn more at www.ncsc.org/contest.